Virginia Laws grants buyers a number of protections when it comes to buying a timeshare. There are also laws in place for canceling a timeshare contract in Virginia. You might want to get out of your timeshare agreement for a number of reasons. Are assessment fees, maintenance fee and annual fees weighing you down? Have you realized the investment you thought you made isn’t worth anything? Avoid the scams and fraudulent companies that claim they can get you out of your timeshare. Follow these steps and you can learn how to cancel a timeshare contract in Virginia. Virginia Legislation puts a lot of requirements on timeshare sellers and developers to protect the interest of the buyers. When you were going through the process of purchasing your timeshare, the timeshare developer should have provided you with a public offering statement. In fact, they are required to provide this statement by law and they must give it to you to review BEFORE you sign your timeshare contract. If you were not provided with the public offering statement or you believe you were mislead in you timeshare purchase, please feel free to call us at 1-888-743-9051 for a Free Consultation, or visit our Online Contact Form. The developers name, contact information and principal address. The name and address of the developers agent for service of process. A duplicate of the annual budget for the timeshare project. 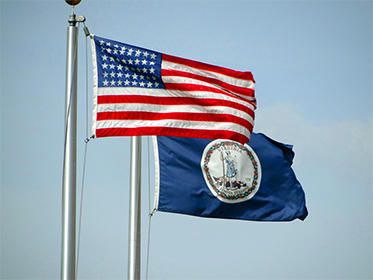 Virginia allows buyers to opt out of their timeshare contract within a rescission period. In Virginia this period is 7 calendar days. You have up until midnight of the 7th calendar day after signing the timeshare contract to give notice of cancellation. If the 7th day falls on a legal holiday, or a sunday then the right to cancel ends on the day immediately following. Canceling a timeshare contract in Virginia during the 7 day rescission period requires the purchaser to do one of two things. We recommend that you do both to deliver prompt cancellation of your timeshare contract . Mailing the notice of cancellation by certified United Stated with a return receipt. It must be mailed to the developer or one of its agents designated in the contract. The notice is effective as of the postmark date. In Virginia any deposit or fees accepted at the initial purchase of the timeshare must be held in a escrow service. The funds will only be released to the developer after the cancellation period expires. If you give notice of cancellation in the 7 day rescission period the developer is required to refund any deposit or fees charged within 45 days. If you have any questions about this or need help creating a notice of cancellation please give us a call at 1-888-743-9051 for Free Consultation regarding the canceling of your timeshare purchase. For more information regarding timeshare laws please visit the Virginia State Statues that address timeshare transactions. Has Your Rescission Period Ended? Read to See How to Cancel a Timeshare Contract in Virginia. Have you passed your 7 day rescission window? Still need help canceling a timeshare contract in Virginia? Let us lift the weight of your shoulder and do the heavy lifting for you. Our Senior Advisors at Redemption and Release, LLC are dedicated to helping you become timeshare free. Call us at 1-888-743-9051 or use our Online Contact Form to receive a No-Obligation, Free Consultation. Let us help you cancel a timeshare contract in Montana and move towards Timeshare Redemption!